Alumni of Emory’s chapter Pi Kappa Alpha (Pike) intervened to support the chapter after the Office of Sorority and Fraternity Life’s (OSFL) did not offer the fraternity the 10 Eagle Row house next school year, to no avail. 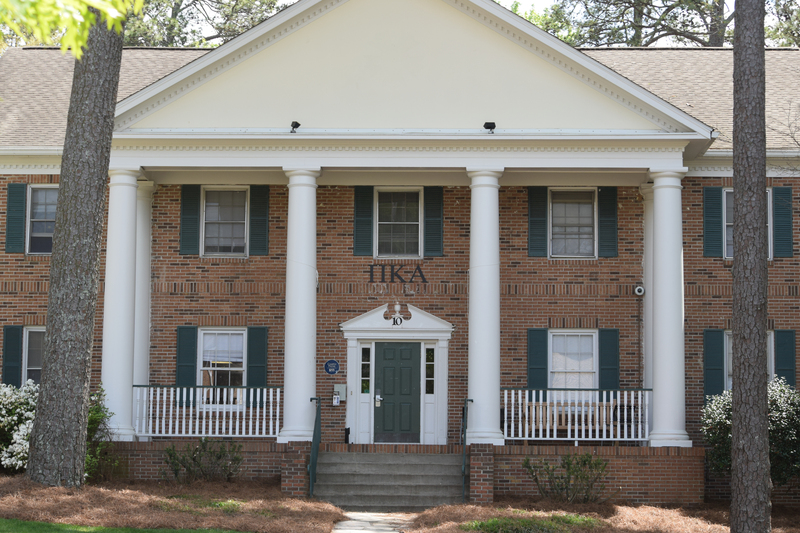 The Wheel reported in February that Pike would not be allowed to return to its house because the chapter failed to recruit enough new members. Alan Ballard (71C) met with Director of OSFL Marlon Gibson and Pike members in February to request that Gibson reconsider his decision to not allow Pike to return to 10 Eagle Row, but Gibson denied the request. Gibson said that he has been working with Pike to address its lack of membership for years. Ballard presented paperwork, signed by 20 Pike members, agreeing that they would live in the house, but Gibson said he did not look at the paperwork because student housing is handled in coordination with the Office of Housing Operations who establish the housing process. The Wheel confirmed with 16 of the members that they signed paperwork. The fraternity had an understanding with OSFL about the requirement, according to Gibson. Current Pike President Kenneth Salkow-Shapiro (20C) said the 20-member minimum was set by Pike, not OSFL, and it was not a mandatory requirement. A misunderstanding occurred between Pike and OSFL, according to Shapiro. Former Pike President Jose Sandoval-Ramirez (16Ox, 18C) did not respond to multiple requests for an interview. After Pike did not recruit any members during the Fall recruitment season, Gibson said he met with Pike’s leadership. If they did not recruit 20 men during Spring 2018 recruitment, they would be unable to return to the house, Gibson reiterated. On bid day in the Spring 2018 semester, Pike only recruited five new members, according to Gibson. Following rush in the Spring, Assistant Director of Fraternity and Sorority Life Joshua Gamse, reached out to the chapter and gave them a two-week deadline to recruit 20 members, Shapiro said. At this point, the chapter began to contact Pike alumni for support. Zachary Zlatin (19C), who was the president at the time, sent a petition to chapter alumni, according to Zlatin. However, the petition was never addressed at the Feb. 19 meeting between the alumni and Gibson, according to Shapiro. “We sent out a petition a week or two before the meeting with Marlon, basically garnering alumni support — trying to get them involved and hopefully make a plea to Emory,” Shapiro said. Shapiro said that alumni involvement has been helpful, but the efforts will still not allow Pike to return to 10 Eagle Row next year. Gibson said if the fraternity had submitted the paperwork earlier, Pike might have had a better chance of keeping the house. OSFL offered Pike a floor in Evans Hall as a replacement to the house on Eagle Row, according to Shapiro. At the point it was offered, some of the brothers had already signed leases for off-campus apartments. Shapiro said Pike was promised a spot on Eagle Row in the 2019-20 academic year if they could fill their historic home, which currently serves as the Black Student Alliance (BSA) house. Filling the historic house would be an ambitious goal, according to Shapiro. Shapiro said that the decision to disallow Pike from staying in the house had been made before alumni became involved. “From what I’ve been told by OSFL, it was kind of a losing battle to begin with,” Shapiro said.